Mrs. Warren is beginning her twelfth year as a Fourth Grade teacher in Loudoun County, including 3 years at Legacy ES, and the rest at Creighton’s Corner. She holds a Master’s degree from Old Dominion University in Elementary Education K-6. Mrs. Warren also received her Bachelor’s degree from George Mason University in Marketing. She served as a substitute teacher in Loudoun County for eight years, prior to teaching full time. Fourth Grade is an exciting challenge every year, and Mrs. Warren loves Virginia history! (But she also loves teaching science, math and writing!) 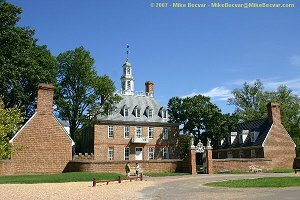 Exploring and traveling in Virginia is a favorite of hers, particularly traveling to Williamsburg. Her family history is rooted in the Jamestown area. In her limited spare time she has a number of hobbies including reading, crafts, gardening, star-gazing, and researching her family’s history. With 5 children and 8 - grandchildren, and her dog Maggie, there are few spare moments. She is a loyal fan of the Redskins, the Washington Nationals, and the George Mason Patriots. Her favorite continuing education activities have been participation in the Colonial Williamsburg Teacher’s Institute, the Mount Vernon Teacher's Institute, and the Children’s Literature Conference at Shenandoah University. She believes that learning is a fulfilling, lifelong pursuit. This is her goal for her students - to love learning, and develop creativity. Mrs. Warren can be reached at the email link below.